Start Losing Weight Today with JOY! *Overweight followers (BMI 25 or higher) of Joy’s diet plan reported an average weight loss of 5 pounds during the first week. Your 4 Steps to Lasting Weight Loss! Joy’s approach has helped thousands of people lose weight quickly...and keep it off! Sandra is truly an inspiration. Not only did she lose over 140 pounds (and continues to get slimmer! ), but she also normalized her blood pressure and completely turned her health around. Sandra’s struggle with food started at an early age, and grew more complicated when she entered into a rocky relationship, which lasted for years. She ate for comfort, and craved fast food, pasta and rich casseroles loaded with fattening ingredients like cheese and sour cream. Her body was literally breaking down from the stress and inflammation caused by toxic food. She was exhausted all the time, suffered from debilitating headaches, slept miserably and struggled with severe bloating. Then, one day, while at the dentist’s office for a routine cleaning, Sandra got the scare of her life. The hygienist took her blood pressure and her numbers were through the roof… 234/138 (a healthy target is 120/80). She rushed to her medical doctor’s office, barely skirting a trip to the emergency room, and started on medication immediately. She knew she needed to make a change… her life was at risk. At that point, Sandra weighed 321 pounds. After being chosen for Woman’s Day Live Longer & Stronger Challenge, she overhauled her diet using Joy’s plan. 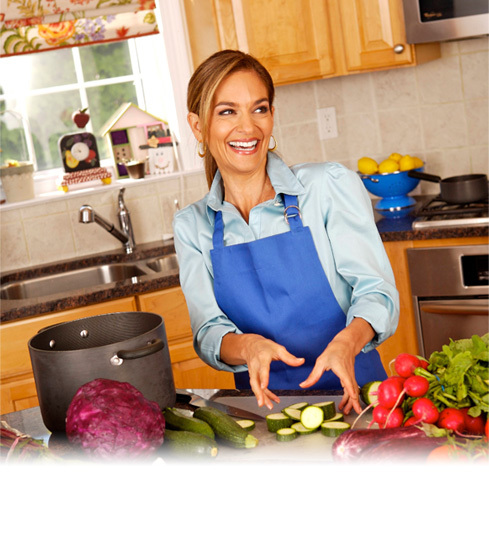 Sandra wiped out the greasy, fattening fare and replaced it with energizing, health-enhancing foods. She focused on heart-healthy choices that would help drive down her blood pressure, like nonfat Greek yogurt, nuts, seeds, oats, egg whites, fish and veggies. She also rediscovered exercise and absolutely loves her dance class. As her weight started to drop, so did her blood pressure. 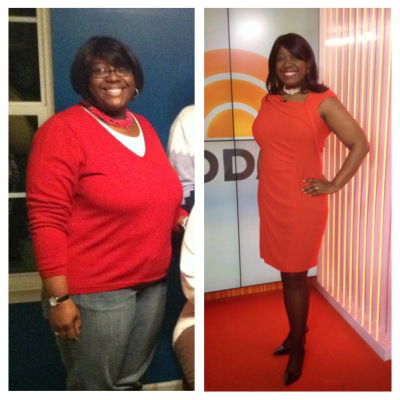 Less than a year later, Sandra shed more than 120 pounds! Her blood pressure is a healthy 120/70, and she no longer needs ANY medication. Now, she relies on the power of food to keep her numbers in check. She is so full of life and energy. In fact, she’s recently been spotted jumping on a trampoline with her nephews! By taking small, achievable steps, Crystal transformed from overweight fast food junkie to fitness fanatic and queen of her kitchen! Crystal was overweight, had high cholesterol, high blood pressure (150/100), and felt waaay older than she actually was when she first started working with Joy. She would skip breakfast during the week and indulge in huge feasts consisting of eggs, bacon, grits and starchy biscuits slathered in sugary jelly over the weekend. Fast-food burgers, pizza and Chinese takeout were her go-tos, and her kitchen was a foreign land. 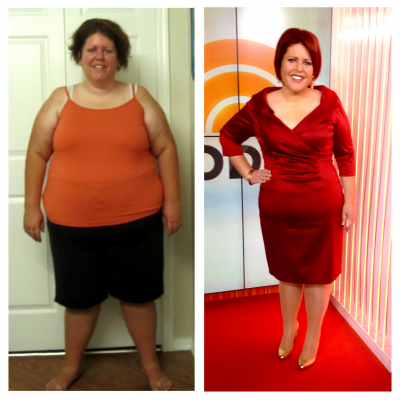 In April 2012, she stepped on the scale… and could not believe her eyes. She had hit a personal high of 228 pounds. That’s when she knew she was in trouble and jumped into action. As a participant in Woman’s Day Live Longer & Stronger Challenge, she started to follow Joy’s program. She began eating whole-grain oatmeal for breakfast, brown-bagging her lunch (instead of ordering in pizza or burgers with co-workers), and she even began using smaller plates at home to control portions. She started walking 12 flights of stairs at the office instead of taking the elevator. She did all this in the midst of juggling a full-time job, volunteering at the church, taking care of her family and dealing with financial constraints. Jon lost almost half of his body weight (!) before hitting a plateau. By following Joy's plan, he's finally reached his weight-loss goal. 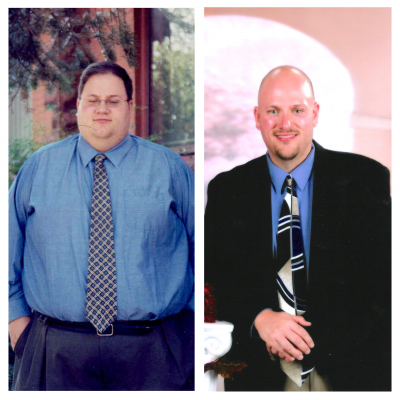 In 2007, Jon weighed 430 pounds, had high blood pressure, and was diagnosed with Type-2 Diabetes. He was depressed and overwhelmed… but also determined to turn his life around for the better. He started his journey back to good health by committing to walking every day. At first, he could only manage a short walk to the end of his driveway and back, but after a few weeks, he was able to slowly increase his endurance and distance. Fueled by a feeling of accomplishment, Jon then started to cut his meal portions in half—and with these small changes, Jon dropped over 100 pounds in just 14 months. Soon after, Jon met Joy through a mutual friend. Jon used Joy’s guidance and program to knock off the remaining excess weight and reach his ultimate goal. Today Jon is a fit 200 pounds and looks and feels like a new man. The weight loss helped him feel comfortable enough to begin dating again; he met his soul mate and the stunning couple married on a beautiful spring day. Together, Jon and his wife stay active and support each other to lead a healthy lifestyle. Talk about a fairytale ending! Healthy Code, Inc. operates this website (the "Site"), and other health, wellness, diet and fitness websites that are part of the Healthy Code, Inc. portfolio of websites (collectively, the "Sites") and the services related to or offered on the Sites (hereinafter, the "Services"). Some of the Sites are websites that we operate on behalf of third party licensors, for example, JoyBauer.com, collectively, "Licensors"). Healthy Code, Inc.’s Services may include, without limitation, tools, applications, email services, bulletin and message boards, chat areas, news groups, forums, communities, calendars, and downloadable mobile applications related to the Sites or provided through the Sites. Cookies can be removed by following your Internet browser's directions within the help tab. In order to use certain Services offered through the Sites, your web browser must accept cookies. If you choose to disable cookies, some aspects of the Sites may not work properly, and you may not be able to access our Services. An "Internet protocol address" or "IP Address" is a number that is automatically assigned to your computer when you use the Internet. We, or our service providers, may use your IP Address when you access the Sites or Services or use other means to assist with delivering geographically targeted advertisements. We offer you choices regarding the collection, use, and sharing of your Personal Information. When you receive promotional communications from us you will have the opportunity to "opt-out" by following the unsubscribe instructions provided in the promotional e-mail or newsletter you receive or by editing your preference to receive these communications within the "Manage My Email" or similar feature on the individual Sites when you are logged in as a registered user..